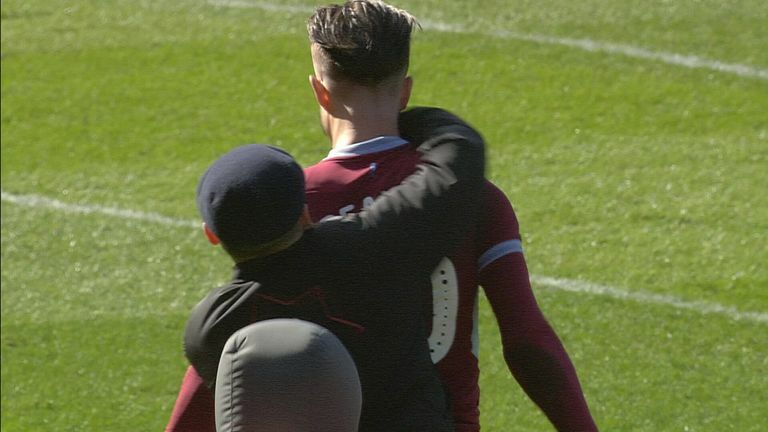 A pitch invader punched Aston Villa's Jack Grealish during the derby game at Birmingham on Sunday. 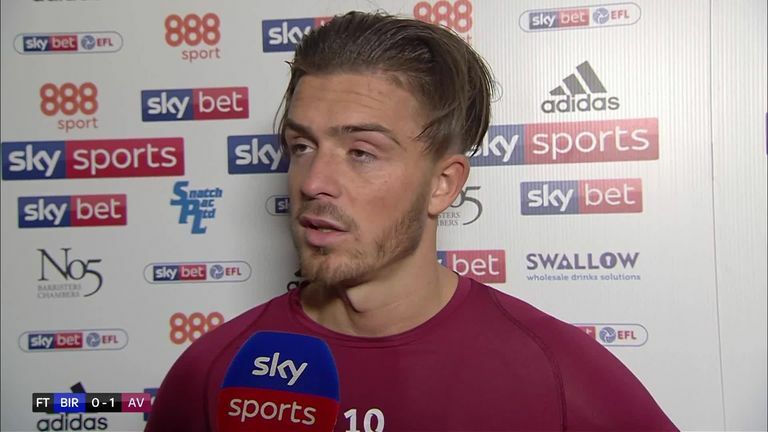 The incident occurred in the 10th minute of the match at St Andrew's, with Grealish running away with his back to the assailant at the time. West Midlands Police have subsequently confirmed that a 27-year-old man has been arrested on "suspicion of encroachment onto the pitch and assault and remains in police custody for questioning". There were four arrests in total for suspected assault and violent disorder offences. Match commander, Superintendent Nick Rowe, said: "An attack on a player is completely unacceptable and outrageous. "The vast majority of people were well behaved but unfortunately the occasion has been marred by this. "We currently have a man in custody for questioning and will be working with Birmingham City Football Club as we fully investigate what happened." Grealish went on to score the winner after 67 minutes before jumping into the away stand to celebrate with the Villa fans. 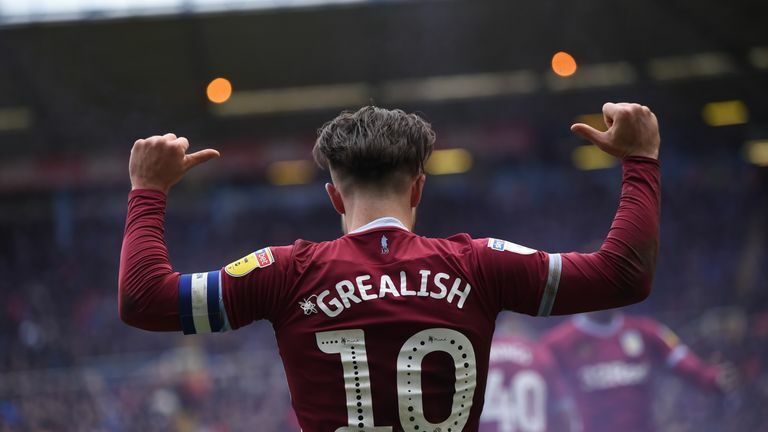 West Midlands Police confirmed they had spoken to a steward in the aftermath of Grealish's goal but no offence is yet to be reported, after footage appeared to show the Villa captain being shoved in the back. The altercation followed a lively opening to the game, in which Birmingham's Maikel Kieftenbeld was booked for scything down Grealish, while there were also clashes between fans outside the stadium before kick-off. Police had to hold back fans while at least one man was seen being treated by paramedics after suffering a head wound. Aston Villa released a statement after the final whistle condemning the incident. "A red line has been crossed by this cowardly on-field assault on a player, which is unprecedented in English football," the said. "We trust the perpetrator will feel the full force of the law and the authorities investigate the circumstances surrounding today's deplorable incident. "Local rivalries are part of the fabric of the game however, as we are sure our friends at Birmingham City would agree, to have a player's personal safety placed under such jeopardy is a serious cause for concern for the entire football community." Birmingham also released a statement where they apologised for the attack on Grealish and said they will ban the supporter from St Andrew's for life. "The club will also support any further punishment this individual may face in the eyes of the law," they said. "The club will be working with the relevant authorities to investigate all the circumstances and we will be reviewing our stadium safety procedures. "What happened has no place in football or society. Jack is a Birmingham lad and regardless of club allegiance should not have been subjected to this - there are no excuses." The EFL condemned the attack on Grealish. "The EFL condemns the mindless actions of the individual who encroached on to the pitch at St Andrew's on Sunday afternoon," said an EFL spokesman. "It's a situation no player should ever be faced with. "In all circumstances the playing surface is for players, not supporters and those playing in the game must be able to do so safe in the knowledge they will not be subjected to this type of behaviour. "Whilst this incident falls within the remit of the Football Association, we will work with all the relevant parties to address the issue of player and match officials safety on the pitch and ensure the appropriate action is taken." Meanwhile, Sky Sports News understands the Football Association will wait for the referee's report before speaking to the club. After receiving and reviewing the report the FA could open an investigation into the incident involving Grealish. "We strongly condemn the incident in the match between Birmingham City and Aston Villa, which saw a person enter the pitch and assault a player," the FA later tweeted. "It is a criminal offence to enter the field of play and we will be working with the police, the relevant authorities and the club to ensure the appropriate action is taken." 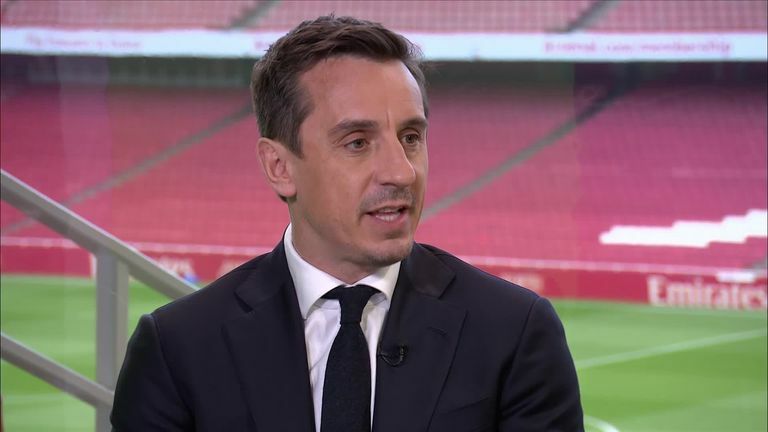 Sky Sports football expert Gary Neville believes Birmingham City may have to be heavily punished for what happened as a deterrent to others. 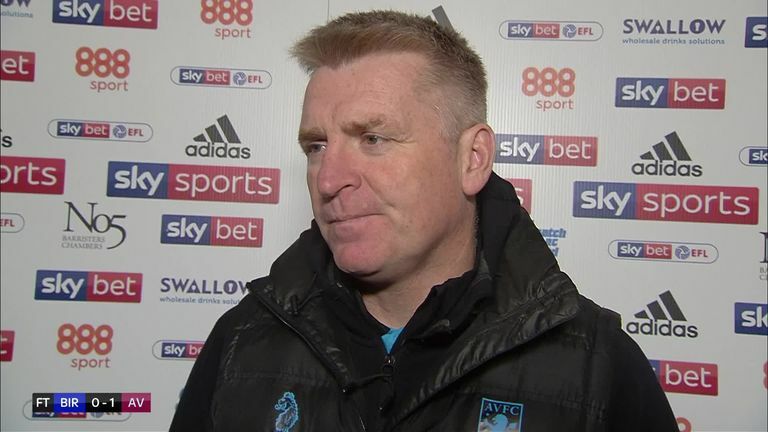 Dean Smith says the incident involving Jack Grealish was overstepping the mark and security should have been better to avoid it happening at all. "The club are going have to take a huge punishment for this to act as a deterrent in the future. A Points deduction or Empty stadium for 10 games!" he tweeted. The incident comes just two days after a Hibernian fan gained access to the pitch during Friday night's Scottish Premiership game with Rangers and kicked the ball away from their captain James Tavernier as he went to take a throw-in. A bottle was also thrown towards Celtic's Scott Sinclair at Easter Road as he went to take a corner in their Scottish Cup game with Hibs on March 2.